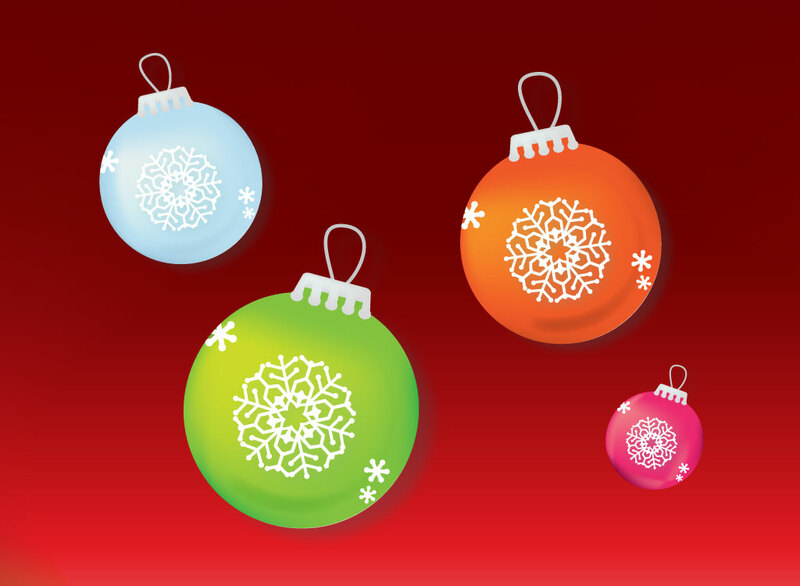 Festive vector download featuring a set of Christmas ball ornaments in four different colors. Each has a design of snowflakes, subtle highlights and shadows. Perfect decorative graphics for holiday season and merry Christmas promotional materials or greeting cards for your friends and family. Download Christmas ornaments for your baubles, celebration, family gathering, decorative glass objects and fun decorations stock footage library. Tags: 3D, Baubles, Celebrate, Christmas Vector, December, Glass, Ice, Joy, Snow.